Picturelife is the smart home for all of your photos and videos. We safely and securely store your favorite memories in one private library - and make it easy to organize, reminisce over, and share photos any time you have internet access. Here's an introduction to how Picturelife works. Easily upload all your photos and videos to one secure location - from the web at Picturelife.com, from your iPad &iPhone, your Android, and Mac, or Windows computer. 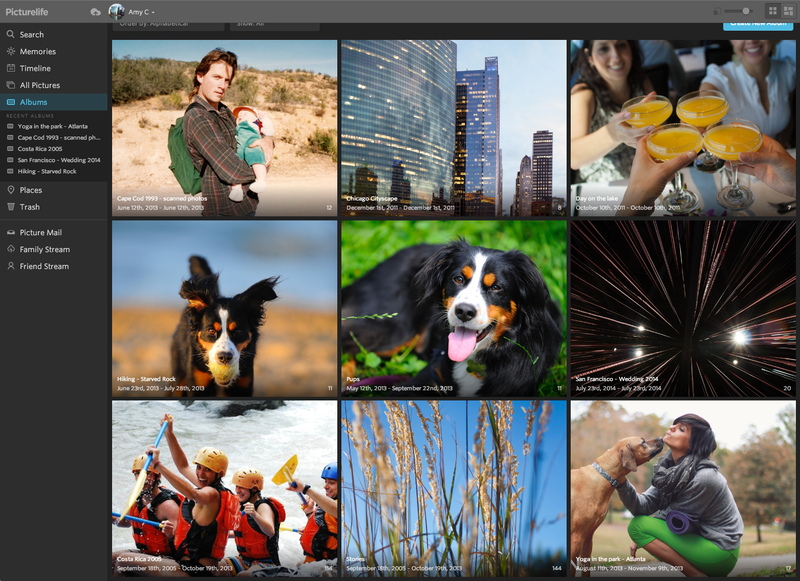 You can even import photos from your favorite social media accounts - finally, all your photos and videos in one place! Pictures in your pocket - or on your computer, or from your couch, or in the car or... you get the idea. With our selection of apps, you can view and organize your entire Picturelife library - from anywhere you have access to the internet. Your photos are just that - they belong to you - which means that, by default, photos stored in your Picturelife library are completely private. You choose with whom, when, and how to share your favorite memories - or just keep them private for yourself! Wow, great photo! You should send that to your friends! Luckily, we've got you covered, offering several ways to privately or publicly share your favorite pics.